Well folks, as most of you know today is Earth Day. Personally, I don’t do anything to celebrate it besides walking around my property and enjoying the view. I just cleared an area by our pond this weekend and now I’ve got a nice quiet place to relax after a day’s work. Fujitsu Limited today announced that Japan's Ministry of Economy, Trade and Industry (METI) and Tokyo Stock Exchange (TSE), have chosen it as a 2019 "Competitive IT Strategy Company." Chigo HVAC R32 multi split capacity range from 14kW to 42kW, up to 5 indoor units could be connected to one outdoor unit, it has a wide operation range: cooling from -15℃ to 52℃,heating from -15℃ to 34℃. Gray & Adams returns to the CV SHow next week with three “temperature-controlled show-stoppers”. A 44-pallet lifting-deck trailer in Culina livery will dominate Gray & Adams’ stand in the Cool zone. Aspen Pumps Group has been awarded the Queen’s Award for Enterprise; International Trade, in recognition of its growth in overseas markets in the past three years. What exactly are the National Energy and Climate Plans (NECPs)? 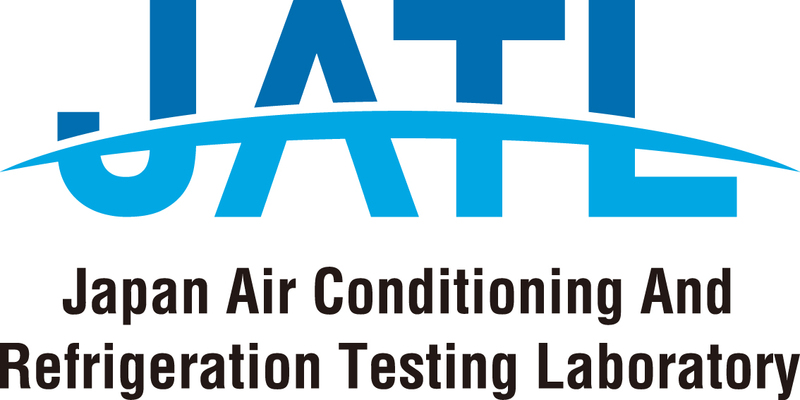 During an action-packed three days spanning January 14 to 16, the 2019 AHR Expo, the world’s largest heating, ventilation, air conditioning, and refrigeration (HVAC&R) event, was held in Atlanta, Georgia. Under unusually cold weather conditions in Atlanta, 1,824 exhibitors showcased their hot products to 45,078 visitors. 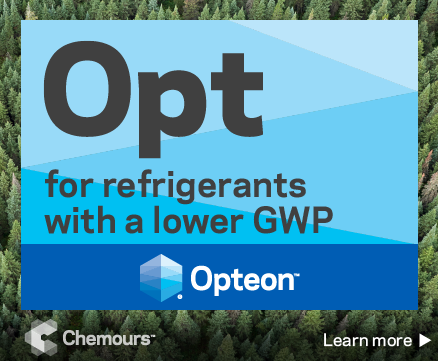 At the International Symposium on New Refrigerants and Environmental Technology (Kobe Symposium) held in December 2018 in Japan, Masato Fukushima, Company Strategy General Division, Chemicals Company, AGC, made a presentation titled ‘Next Generation Low-GWP Refrigerants AMOLEA’. Prior to his presentation, JARN interviewed Mr. Fukushima to hear about AGC’s refrigerant business focusing on the AMOLEA series of products. 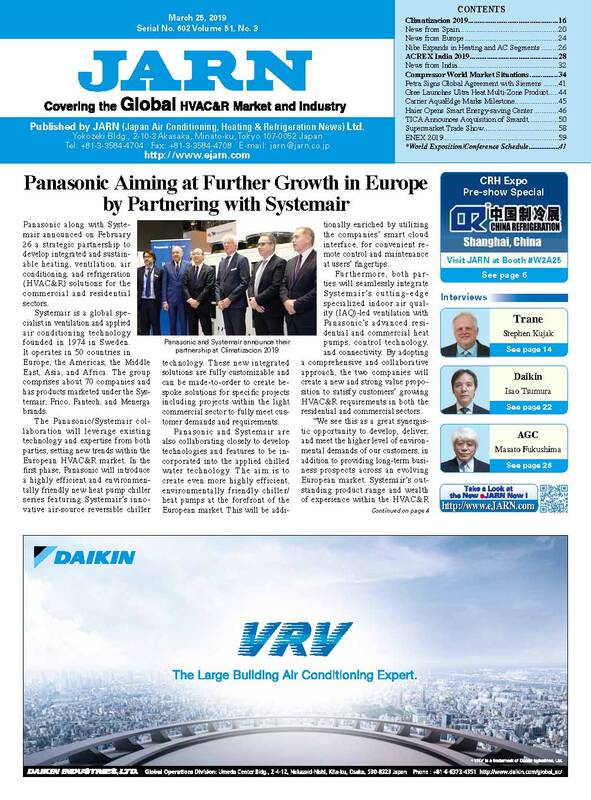 JARN interviewed Isao Tsumura, president of Daikin Airconditioning Indonesia (DID), to ask about its product and business strategies in Indonesia. At the International Symposium on New Refrigerants and Environmental Technology (Kobe Symposium) held in December 2018 in Japan, Stephen Kujak, director of next-generation refrigerant research at Trane, made a presentation titled ‘Update on Next-Generation Low-GWP Refrigerants for Chiller Products’. JARN interviewed Mr. Kujak to hear more about his presentation. The Granite Group new branch in Lincoln, Rhode IslandThe Granite Group has announced that their newest branch, located in a newly-renovated 25,000 square-foot facility at 8 Court Drive in Lincoln, RI, is opening for business ahead of schedule. Beginning April 22nd, customers will be able to experience the full breadth of the Granite Group’s world-class product offerings and service. The Unico System has launched two new programs designed to help HVAC installing contractors. “Today’s world of interconnectivity is great for sharing information,” said Unico, Inc. president Phil Coerper. A key factor driving the growth of the market is the increasing focus on reducing emissions and carbon footprint. Currently, the increasing emission of greenhouse gases from the exhaust of manufacturing facilities is giving rise to the emission of greenhouse gases and negative environmental conditions. The second Gulf region annual infrastructure conference Mega City Infrastructure was held in Dubai on Apr. 16th and 17th. Midea participated as Platinum Sponsor. Many important project contracting companies, consulting companies and government departments attended this event such as Atkins, Saudi Aramco, Sheikh Zayed Housing Programme, etc. The third round of 30th Session of Midea CAC V6 VRF Global Technical training was organized premises in Midea Headquarters from 16-18 March, 2019. 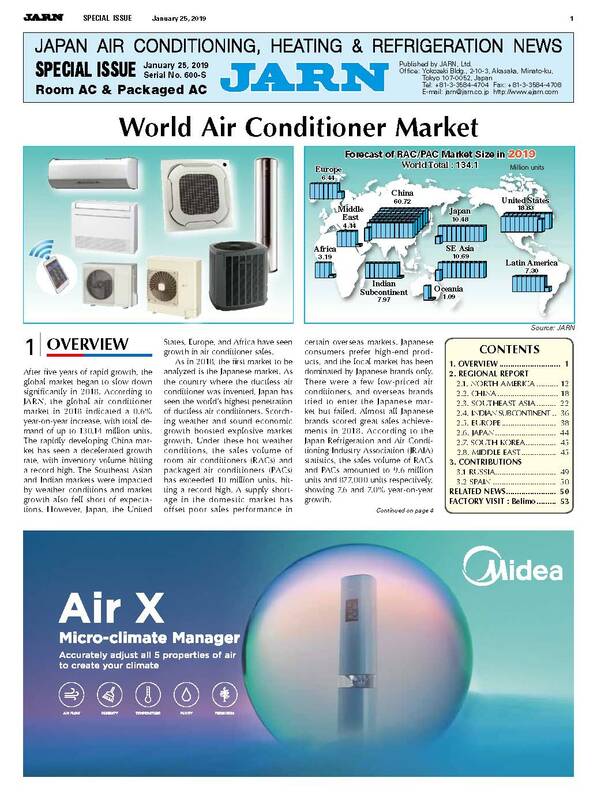 The training was a Design and Application training aimed at providing sales and technical knowhow for the V6 VRF series products to the Midea CAC partners around the world. Various salesmen and technical engineers selling Midea VRF in their respective countries attended this session of global training. Johnson Controls officially opened the state-of-the-art Rooftop Center of Excellence design, manufacturing and testing facility during a grand opening event on April 17. The facility has been located in Norman, OK for nearly 50 years and will now serve as the flagship location for industry research, manufacturing and testing of Johnson Controls HVAC rooftop units. The 900,000-square-foot facility includes almost 400,000 square-feet of incremental laboratory and manufacturing space and renovations to over 150,000 square-feet of office and meeting space. The Supermarket Trade Show was held from February 13 to 15 at Makuhari Messe, Chiba Prefecture. Intended to convey information on the latest trends to the food distribution industry centering on supermarkets, this exhibition was visited by many buyers from wholesalers, trading companies, the ready-made meal/ food service industry, and also from foreign countries. LG Electronics—is the Indian subsidiary of South Korean multinational LG, and its System Airconditioning Division in India offers light commercial air conditioners, chillers, and BMS products and solutions. 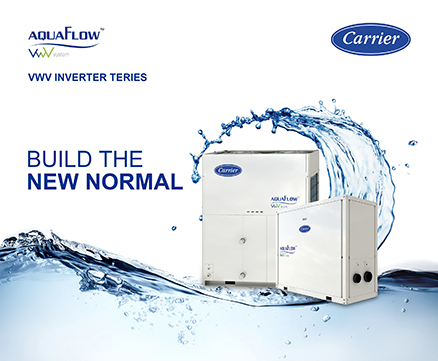 It showcased its Multi-V VRF, inverter air conditioners, and other products.